Are you in need of heavy duty towing in Dallas, TX? Did your heavy equipment breakdown in the middle of the night and you do not know who to call? Well, there is no need to worry – Delta Towing Dallas got you covered! We can effectively carry out the much-needed towing and recovery solutions for you! From SUVs to vans to trailers to heavy equipment, we make sure to only deploy the best equipment. And yes, they are specifically built for the handling of heavy machinery. Our operators can help you no matter how big or small the job is. Just give us a call and our team will be there right away! We here at Delta Towing Dallas understand the basics and complexities of heavy duty towing. Regardless of the size or shape of your heavy equipment or large vehicle, we have the right heavy duty towing solutions in Dallas, TX, for you. We have a flexible fleet of transportation equipment, which is readily accessible to accommodate and/or meet your needs. Even relocation obstacles have no match against our will to provide the best and most reliable heavy duty towing services. Our heavy duty towing Dallas operators can anywhere you need us. What is more, is that we provide 24/7 service. Meaning, you do not have to worry about getting stuck in the middle of the night on the road – assistance will be there after you give us a call. We understand that every hour your trucks are down is synonymous to lost time, thus automatically translate to a negative impact on your bottom line. Our Dallas, TX, heavy duty towing services are specifically designed to tow even the largest of commercial vehicles, which will include the likes of a tractor trailer, school bus, dump truck towing, RV, construction equipment, and a whole lot more. As you might have already seen, there is nothing that we can tow. This is most especially true when it comes to heavy-duty vehicles and/or machinery. With competitive rates and top-notch industry-based service, you can surely get the much-needed peace of mind. What is more, you can rest assured knowing that someone will be there for you any time of the day or night. With our attentive dispatchers, our heavy duty towing operators can arrive at your location immediately. Mind you, we make sure to continuously train and test them, so we can guarantee a quality of service. 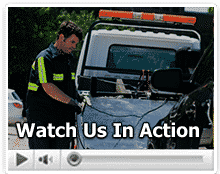 Regardless of the towing solution you need, we are ready and equipped to help you. Delta Towing Dallas is your go-to company for the most reliable towing solutions! If you want a reliable and/or trustworthy heavy duty towing solutions in Dallas, TX, look no further than Delta Towing Dallas. Our operators are always available and ready to provide the service for you. Just give us a call and expect them to arrive at your location – and the process will only take within minutes of your call. When it comes to heavy duty towing – including other towing or roadside assistance – we understand the essence of providing quality service and reliable customer care. Mind you, not all towing companies in Dallas can provide you with affordable and reliable heavy duty towing services. But not us – we are always willing to go the extra miles. Why not give us a call the next time you are in need of these services, so can witness how professional Delta Towing Dallas is?